(CBS/Reuters) A young boy in the town of Koprivnica, Croatia, is gaining worldwide attention for an unusual talent. 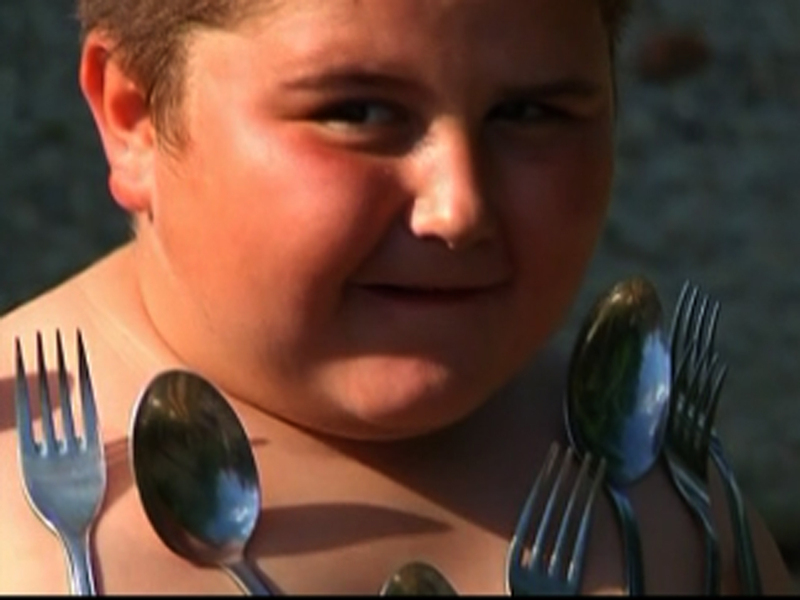 Six-year-old Ivan Stoiljkovic appears to be able to attract metal to his chest - including silverware, coins and even a frying pan. His family says Ivan possesses extraordinary strength and even healing powers. "We always felt he is a bit different," said Ivan Surlovic, the boy's grandfather. "At 15 months of age he was rollerblading, he started walking at eight months. He was less then two years when he had already been driving a little motorcycle, and it was a bit weird," Surlovic said. Ivan practices his magnetic skill every day, usually with his grandparents. "It started as a joke," said Dragica Surlovic, Ivan's grandmother. "I said, let's try this and things just stuck to him. The heavier things actually stuck more strongly to him." His family says that Ivan's power is strongest in the morning and when he is calm and focused. Family members told Reuters that Ivan also has "healing hands" with which he alleviates his grandfather's stomach pains and has soothed the pain of a neighbor who hurt his leg in a tractor accident.